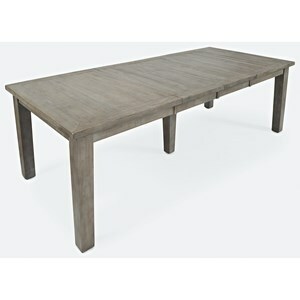 Give your dining room an industrial rustic atmosphere with this uniquely designed Trestle Dining Table. The piece features a beautiful natural wood stain that pairs well with the top's plank design, as well as with the iron turnbuckle brace details that provide the industrial touch. 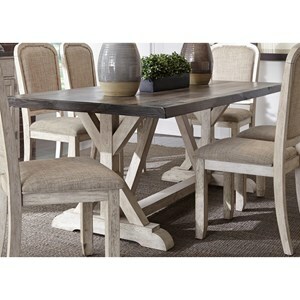 Seat 8 of your family and favorite friends around this table for memorable meals. 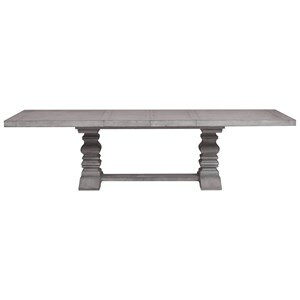 The Dakota Rustic Trestle Dining Table with Metal Accents by Samuel Lawrence at Godby Home Furnishings in the Noblesville, Carmel, Avon, Indianapolis, Indiana area. Product availability may vary. Contact us for the most current availability on this product. 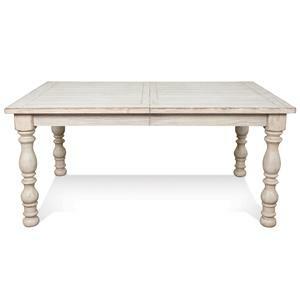 S290-131A Trestle Table Top 1 84" 40" 30"
S290-131B Trestle Table Base 1 32.5" 10" 26"
This collection of bedroom and dining room furniture will deliver the essence of rustic, cabin living to your contemporary home. 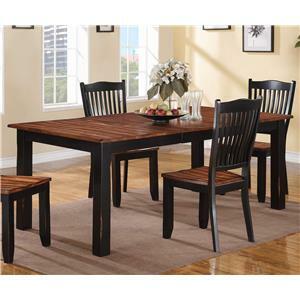 Each piece features some sort of plank styling in a deep and vibrant natural wood stain. Not to mention the iron accents and clean, straight case lines, which add industrial and contemporary touches, respectively. 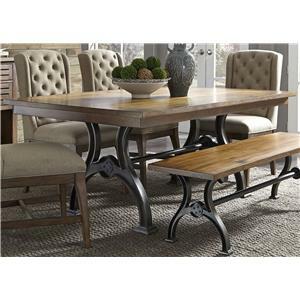 The Dakota collection is a great option if you are looking for Rustic Industrial Contemporary furniture in the Noblesville, Carmel, Avon, Indianapolis, Indiana area. 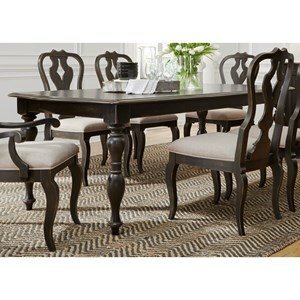 Browse other items in the Dakota collection from Godby Home Furnishings in the Noblesville, Carmel, Avon, Indianapolis, Indiana area.